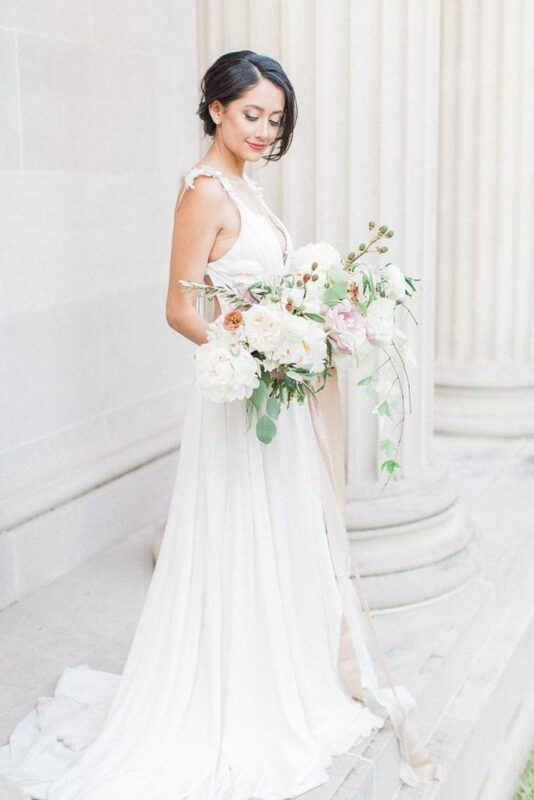 We can’t help but swoon over this classic organic bridal inspiration shoot from Anne Brookshire Photography, who captured every single detail so beautifully on film. Dreamed up by May and Sage Events, we’re in awe of this timeless scene set at the beautiful Menil Collection, loving everything from the wax-sealed invitation suite to Tenfold Floral’s incredible bouquet. The roses and hydrangeas paired with sprigs of greenery work perfectly all together. And who knew dead leaves could add such a beautiful touch? The model bride wore an exquisite and oh-so-feminine bustier gown from Unbridaled and was given a classic bronze smoky eye by Alluring Complexions, along with an understated half updo by Samara Barros Makeup, perfect for showing off her classic veil. We love how this talented team of vendors used a styling board to show off the daintiest of details, including that incredible oval-shaped halo ring, sweet little hair pins for the bride, and the amazing metallic calligraphy by Dreams and Nostalgia. 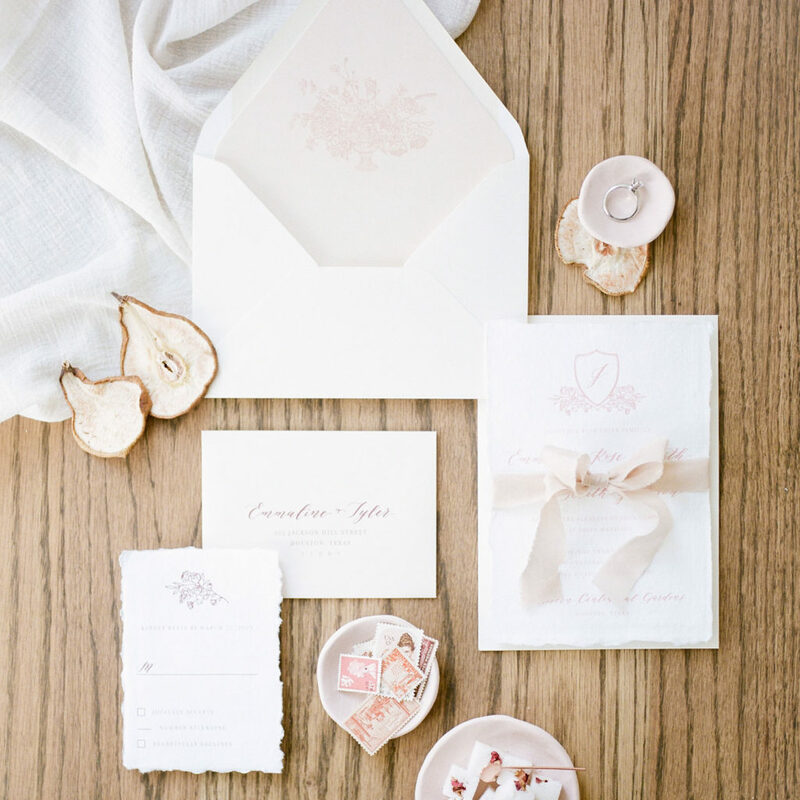 Soft sunlight and dreamy lines give this shoot an ethereal, stunning vibe we just had to share!